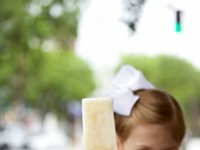 SAVANNAH ADDED a new notch to its culinary belt this month with a taste from a different kind of southern region. The Fitzroy, at 9 Drayton St., is Savannah’s new Aussie gastropub owned by the same visionaries behind The Collins Quarter and The Deck, which opened last May. Australian natives Anthony and Rebecca Debreceny named their new joint after Melbourne’s most vivacious suburb that has become a food and culture mecca. The space, formerly occupied by the short-lived restaurant 9 Drayton, has been re-imagined to have all those elements, including a posh open-air terrace upstairs. “Interiors, service and wine are three important factors, but often, it’s as simple as being brave enough to take bangers and mash off the menu,” Anthony expounds. The “Fitz” is geared up to be a night-centric venue with industrial aesthetics such as exposed brick and piping, pendent Edison bulbs, deep dramatic hues and rose-gold metals. “It was never going to be as elegantly finished as it is. I started chipping all the plaster of the walls and saw the original brickwork...I had to rethink the design and pay the old girl the respect she deserved,” Anthony elaborates. In the evening classic crafted cocktails can be paired with a sophisticated dinner menu focusing on elevated flavor profiles with both Australian and Asian influences. However, anyone who is familiar with The Collins Quarter knows that the Debrecenys know how to brunch. News flash: They have outdone themselves this time. In order to bring a taste of Melbourne to Savannah, they enlisted the help of a man labeled as “Australia’s best breakfast chef,” Chef Jesse McTavish. Chef McTavish has a laundry list of accolades including Executive Chef of Melbourne’s most successful cafés, Top Paddock and The Kettle Black, serving over one thousand brunches daily. “It has always been a dream of mine to have an Australian chef come over and consult for us,” Anthony admits. When they met at a pub in Melbourne the timing could not have been more fortuitous. 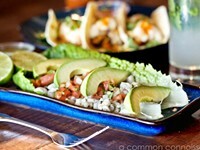 Chef McTavish developed The Fitzroy’s brunch menu with standout dishes embodying the essence of brunching in Australia. 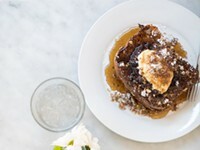 Take the Ricotta Hotcake, a Melbourne food craze Chef McTavish developed at his restaurants. This thick cake-like pancake, with a salty golden exterior and light fluffy center, exudes springtime. 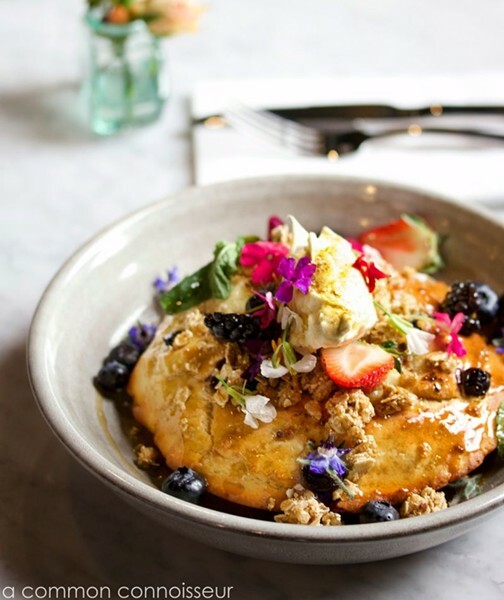 The hotcake is adorned with basil leaves, edible flowers, crunchy granola, succulent berries, whipped ricotta and a drizzle of maple syrup. Its alluring charm is no wonder why this brunch phenomenon has gone viral and is coined as one of the most instagrammable dishes in Australia. Much like Smashed Avocado Toast, Anthony says mushroom toast is huge in Australia. 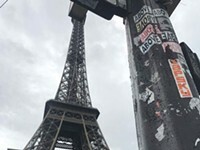 While it is not something Americans deem as breakfast fare, he believes it will be favored as a worthy vegetarian option. The Local Mushrooms is a simple yet stunning dish that is comprised of two thick slabs of crusty sourdough bread with dollops of whipped curd, a sprinkle of mushroom powder, some pickled celery and gently sautéed mushrooms. Each element on the toast was intentional in celebrating the pure umami flavor of the local mushrooms. The Fitzroy Burger and Frites is another timeless brunch staple with a satisfying spin. The juicy medium-rare patty is loosely packed, stacked with a hearty slice of heirloom tomato, peppery arugula and four-year-old cheddar on a plush bun. The cheddar is just barely melted in order to deliver the sharp punch that well aged cheese is meant to do. The pièce de résistance is the Fitzroy sauce, a spread that might be jokingly compared to that of a Big Mac but with 15 whopping ingredients including whole grain mustard, parsley and tarragon. 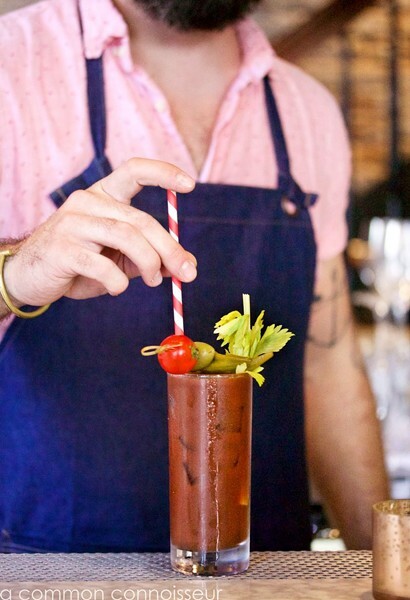 Whether you’re in Melbourne or Savannah, a boozy sip is always a must for brunch. And only The Fitzroy can turn a light and spritzy mimosa into a brisk licorice flavored cocktail from a heavy pour of absinthe. When considering future eateries to add, Anthony protests, “I opened (The Deck) last May and The Fitz this March, I don’t want to see a nail gun or paint tin for a while.” His wife agrees. But, apparently he has something in the works for 143 Bull St. I guess we’ll just have to wait and see what is up his sleeve.